Upon hearing the word, “semi-truck,” images of fuel efficiency and clean energy aren’t the first things that typically come to mind. With the industry driving about 140 billion miles a year in the United States alone and averaging 7.2 miles per gallon, it’s no wonder one of the leaders in clean energy has come up with a more eco-friendly solution. On November 16, 2017, Tesla’s CEO Elon Musk unveiled the ‘Tesla-Semi’ prototype, an all-electric heavy-duty truck, built on truck chassis and containing components from their Model 3 line. Upon first glance, even on this large commercial vehicle, the unmistakable features of a Tesla are there. The lack of exterior steps and the long, low door leading to the cab gives it a clean, sleek appearance from the outside. Since the truck itself doesn’t contain some of the traditional parts needed for a diesel engine, designers were able to create more room in the cab to allow for a more comfortable ride for the driver. Now, looks are one thing, but will this Tesla Semi be cost competitive? In short, yes. Right now Tesla has a 300-mile prototype base model and plans to roll out a long-range version that will travel 500-miles, the cost being $150,000 and $180,000 respectively. They have also announced a “Founders Series” truck which will cost around $200,000 per truck. Most long-range diesel trucks are priced around $120,000 and cost thousands to operate and maintain each year. Tesla claims during the lifespan of their semi companies would save over $200,000 in fuel alone. On the flip side, the 500-mile truck would have about half the range that a diesel Class 8 truck provides a full tank. Increasing the range of an electric truck means using a bigger and heavier battery. This may cut payload and add cost, which could have a negative impact on fleet buyers that are focused on operating cost per mile. Plus, according to researchers at Carnegie Mellon University, a battery-powered semi with a range over 300 miles currently doesn’t make much sense due to high costs and the weight of the battery, but since the Tesla Semi doesn’t come with a bed in the cab, it seems the intent is not to use it for long, cross-country trips. A gimmick or paradigm shift? So if the Tesla Semi is a success, it would which would mean big opportunities for Tesla to enter the market. Musk also stated that they would be able to achieve the 500-mile range due to the bullet-like shape of the truck and the fact that they would be served by a new high-speed DC charging solution referred to as “Megachargers,” that would add about 400 miles of range off of a 30-minute charge. They have also built the battery directly into the chassis of the truck, lowering the center of gravity for the truck overall. If the Tesla Semi is a success, then this will change the market for the trucking industry as a whole. With major companies such as DHL, Ryder, and Walmart putting in their orders, adding to the running total of about 200 orders received so far and the numbers continuously growing, the rest of the industry will have to look forward to new and innovative ways to stay competitive and keep pace with the technology. Currently, at CIMC Intermodal Equipment, we are researching and developing for the latest smart chassis design that will be compatible with these new trucks. 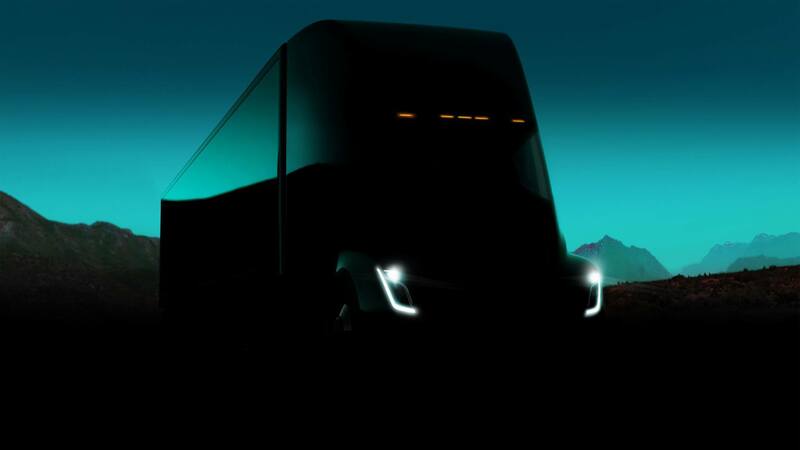 As of now, the expected rollout date for the Tesla Semi is 2019. There is still a lot of work to be done before then, but with the growing demand, we expect to see a change in the trucking industry and look forward to being a part of it. We are expected to put in a lot of different key technologies into the chassis such as regenerative braking, air ride suspension, automatic tire inflation and GPS / Internet Connected Chassis. We’re actively reaching out to Tesla to get the latest requirements. We hope to build a relationship to collaborate on the redesign of one of the oldest pieces of equipment in the trucking and logistics industry. Its been a long time coming, but the future is here.